Convert your carton coding system to bulk ink delivery, improve uptime and save! Manufacturers and contract packaging companies are familiar with Inkjet as a preferred print technology for their packaging lines. Inkjet easily and efficiently prints lot/batch codes, expiration dates and other variable data on packaged products at high speed with extraordinary print quality. This year, make it a priority to implement a significant, cost saving strategy for your packaging line. If you’re currently using disposable print cartridges as your ink delivery system, this is the year to convert to a Bulk ink system. Don’t fret the details on how to make that transition as Case Printing Solutions is here to assist. Step One: Evaluate Current State – CASE examines your current coding and ink delivery systems in detail. We determine your current Cost-per-Print (CpC) to see how it compares to industry averages. In many instance we can help you with modifications to improve the overall profitability of your coding line prior to converting to a Bulk ink system. Step Two: Analyze Alternatives – CASE presents a number of Bulk ink alternatives. From 350ml solutions to 1 liter options and larger, we help you understand the compelling benefits of each including the CpC. 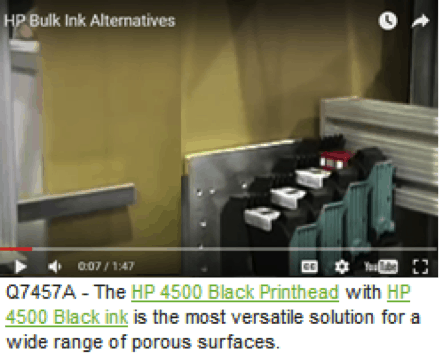 The most commonly implemented Bulk ink system is a Hewlett Packard solution named HP Q7457A. Step Three: Order & Install – CASE procures and implements the new Bulk ink system. We can support you with either on-site or virtual assistance to make sure you have the smoothest possible transition. CASE also trains your operators so they understand the proper way to maintain and operate the new Bulk system. Step Four: Measure Results – CASE works with you to track and report the coding system’s effectiveness. Most customers see benefits related to uptime, reliability, print quality, and -of course- cost savings. While results vary from customer to customer, CASE tracks your specific improvements to help management stay knowledgeable of the return-on-investment. 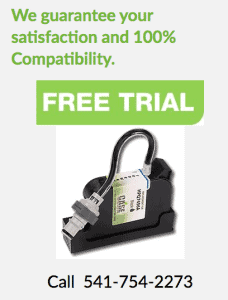 As a special offer for those reading this article, CASE is offering a FREE HP 4500 remanufactured ink product. Contact us below. CASE Printing Solutions is an expert when it comes to helping customers GO BULK. Whether you’re running a high speed mail addressing system, or a 24/7 packaging line, CASE can help. Call or email us for assistance to: (1) troubleshoot your inkjet printer, (2) implement a bulk ink system, (3) buy & save when purchasing original and remanufactured HP ink products, (4) rebuild your print system and thereby extend its useful life, and (5) upgrade to a new print system.